Looking to find some feathery housemates or find a cool new accent for your home? 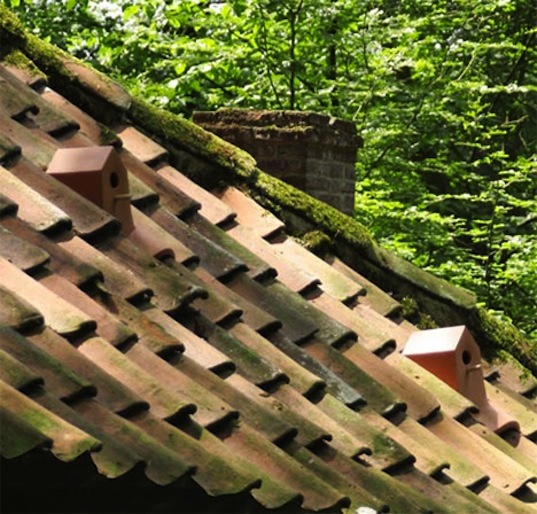 The Birdhouse roof tile created by Klaas Kuiken is an excellent way to bring a little nature back into your life. Built atop a standard roof tile, a basket below the tiny house can be used for nesting and accessed by the round entrance in the front. The entire piece can be fastened with a special glue that makes it resistant to extreme temperatures. With good ventilation and a safe harbor away from cats and other predators, the birdhouse roof tile is also sealed to make sure the winged residents don’t accidentally fly into your attic. Looking to help combat the declining bird population, artist Klaas Kuiken consulted with the Vogelbescherming (Dutch Bird Association) to find a way to encourage urban habitats. Taking advantage of birds’ proclivity to nest in high eaves and enclosed spaces, he developed his Birdhouse roof tile. Each house sits atop a basket underneath that provides a space for the animal to build a nest. The basket is composed of a wooden slate framed with a screen that creates a comb-like barrier, making sure that the new house guests are not able to take advantage of amenities inside human dwellings. Produced in the Netherlands, the first 100 are available to order though his website. Next time you need to replace a cracked roof tile, consider making a small apartment for a feathered friend! Great product. A home for the birds and you can scrape quano off your roof to fertilize your garden. Not sure how you are supposed to clean it out periodically. Looking to find some feathery housemates or find a cool new accent for your home? 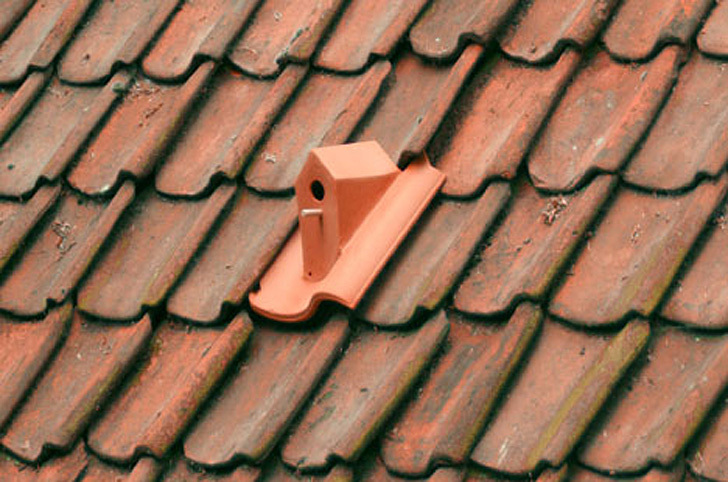 The Birdhouse roof tile created by Klaas Kuiken is an excellent way to bring a little nature back into your life. Built atop a standard roof tile, a basket below the tiny house can be used for nesting and accessed by the round entrance in the front. The entire piece can be fastened with a special glue that makes it resistant to extreme temperatures. With good ventilation and a safe harbor away from cats and other predators, the birdhouse roof tile is also sealed to make sure the winged residents don't accidentally fly into your attic.